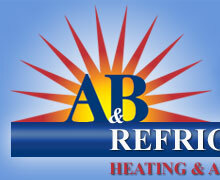 A & B provides a wide range of refrigeration and display products from refrigeration expert Hussmann, a part of the Ingersoll-Rand group. Hussmann is a world leader in providing refrigeration and display equipment to the food industry. Hussmann products include refrigerated display fixtures, refrigeration systems, beverage coolers, coils and condensers, walk-in storage coolers and freezers, self-contained display cases, custom display products and more. Why go anywhere else? You can rely on A & B. We look forward to serving you.